No man is perfect, and that includes me. I have noticed on many occasions while sitting in the dining hall before our meetings, many subjects are discussed. However, in the course of these discussions, foul language begins to creep into the conversation, and before long profanity takes precedent. Is this is what we, as Masons, have learned at our altar of obligation? What normally will start as a filthy remark, eventually becomes a long string of jokes, and in many cases, the profanity and off color remarks become the norm. What impression are we making on these brothers? In addition, what thoughts may be going through their minds, hearing this type of language? He may be thinking. He may even decide not to come back to lodge because of these incidents. The great lessons of Masonry, which, are taught by our ritual, should never be demeaned by levity or pranks. The lodge room or banquet hall is not the proper location for the telling of practical jokes, pranks, horseplay, or off-color jokes. To make good men better, it takes “better men” to be role models for the “good men” to see and learn from. The Lodge-room is not the place to “let your hair down”; it should be a haven clear of all negatives toward each other. We must all “mind our manner” when in Lodge or fraternizing with our Brother Masons. Masonry, like religion, is built upon our duty to God and to our neighbour. This is the fundamental principle of our Art, upon which has been reared a beautiful superstructure, and without which the united efforts of thousands of all generations, could not have been kept from crumbling to pieces, leaving behind nothing but a name, a folly that was for a time, and then vanished. It is the rock upon which Masonry has been built, that has preserved it in every clime and among all nations of the world. 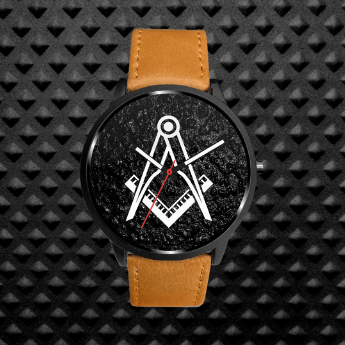 Therefore, the necessity of understanding what Masonry teaches, and of implicit obedience to her laws as loyal sons of so noble an inheritance, is totally necessary. First then, is our duty to God. Certainly, this implies an acknowledgement of His existence. Nothing does Masonry more plainly teach. Are we at all indignant if He is lightly spoken of? As for using profanity in and about the Lodge, just what is being gained? You may drop a heavy object on your foot and while you hop around, you may make the air blue with obscene words, but the pain goes right on just the same until IT is ready to stop. You may swear until you can’t think of anything new to say, but the effects of that accident will not slow down in one minute or sooner. Or you may be in a fierce rage, because someone has made a mean or untrue statement about you, or some stupid person has performed some dumb act against you, or someone breaks one of your sentimental objects, and you swear, and swear, and, swear, until your breath has given out, and what good has it all done? While you have been indulging in an exhibition of mild insanity, the mean words do not become un-said, the broken pieces do not jump up and cement themselves together, and your stupid acquaintance remains just as idiotic as ever. Let us take these lessons learned, out into the world with each of us, just as we are taught to do. 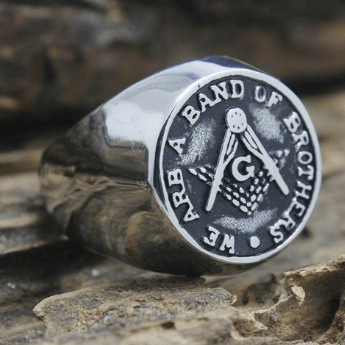 If we meet another Mason in a restaurant, in a store or at work, and talk about Masonry, and we are wearing a Masonic ring or emblem, and choose to speak offensively, we are presenting Masonry is a very distasteful light to those around us who are observing our behaviour. My Brothers, I cannot close this program without expressing the hope that what I have said, may be received with kindly feelings, and patient forbearance on your part. What I have said springs out of my genuine affection for all of you. Had I cared less for you, I should have been less concerned for your Masonic and spiritual welfare. Had I done otherwise, I think that in the end, I might have forfeited some of the respect that you have always shown me, and I could not have uttered a word of complaint. I have spoken that which I thought, under the circumstances, was my duty to do, and I would not retract one word. This, my Brothers, is not intended to be a sermon. Do we or do we not care about what any given person thinks of us? “Us,” in this case does not refer to you, me, or him. That is personal. Personally, I choose to represent myself by the lessons I have learned at our Altar of Obligation. Then, my Brothers, I can do no wrong, nor leave an unfavourable impression to those around me, friends or strangers. I represent every Mason ever raised. Our Father has been as He is always, so kind and so good to us, and our mercies have been more, our chastisements less than we deserve, but like little children, He is leading us along the highway of our one great journey, to the everlasting Home beyond. We have not always been grateful, we have not always been obedient, we have very often used the name of Thy Lord in vain, and we have often sinned, but still, He would lead us on, in patience, in forgiveness, to the place of safety. The time will come to each one of us, at the end of Life’s Day, when the sun will slowly set below the horizon of earthly vision, and our weary, travel-stained feet will enter – – where? Hopefully, before that Great White Throne, where the Grand Architect of the Universe resides. It is essential we keep profanity out of our house of Masonry. This post was submitted to us by Ken Baril. If you are interested in writing for MasonicFind.com, please get in touch. 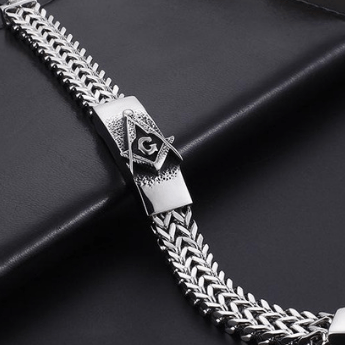 Can Freemasonry Make You Rich? 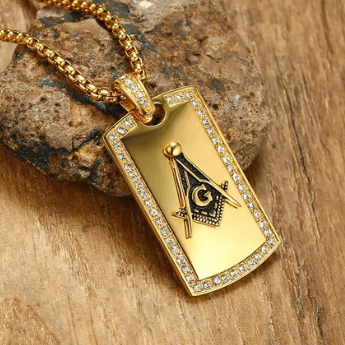 Why Do Freemasons Wear Aprons? How Did King Solomon Die? What Is The All Seeing Eye Meaning In Freemasonry? How Did The Freemasons Contribute To Society? 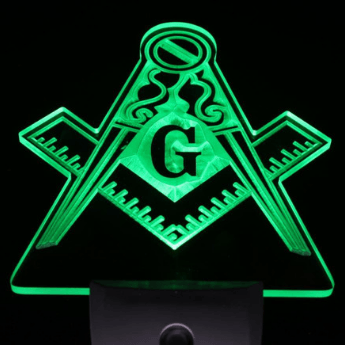 What Are The 3 Main Degrees Of Freemasonry?